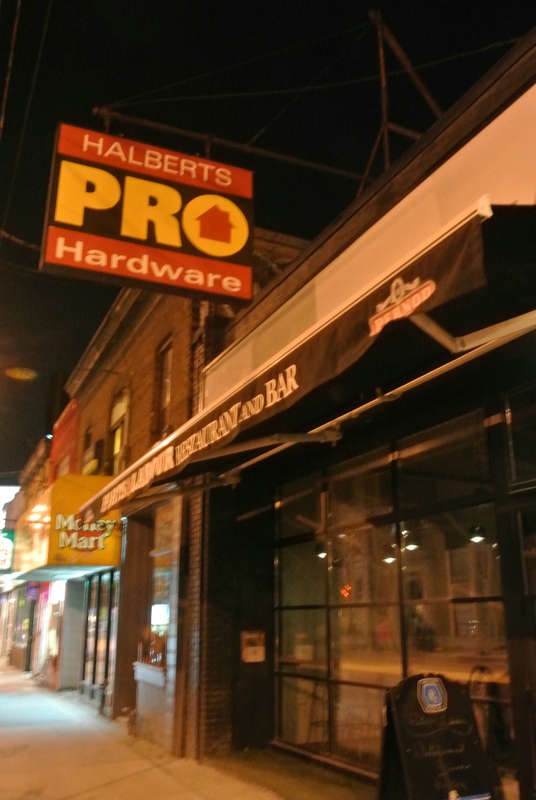 My last restaurant on my winterlicious tour is Parts & Labour. This resto has been on my list for the past year and when I saw on the winterlicious list, well I jumped at the chance! What I love about this place is that it has a story behind it. The location was an old neighborhood Pro Hardware store and the sign is still hanging in its original spot. Inside, touches of some of the items that would have been sold in the hardware store are used in unique ways – in the lighting and cement flooring. Along with four friends (F, I, S, and A) we went for a three course dinner completely surpassing my expectations! Its not often I like only a specific part of a dish but the pickled cucumber atop of my mackerel was devine! A touch of crunch from the skin with tartness from the vinegar and a bit of spice from the chile. However, the best course was my dessert – the Parts & Labour doughnut! Deep-fried, crispy on the outside and nice and fluffy on the inside with strawberry compote drizzled over top, it was delectable! I would definitely go back! 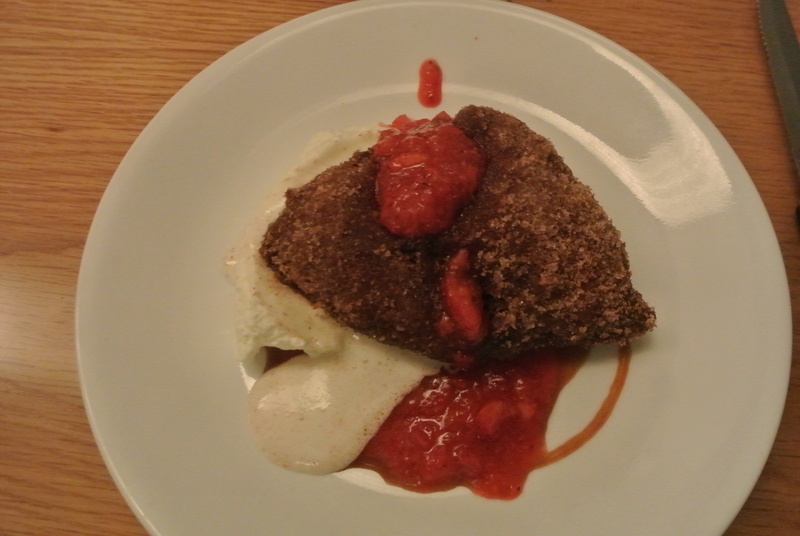 My dessert – the Parts & Labour doughnut with strawberry compote! YUM!!! 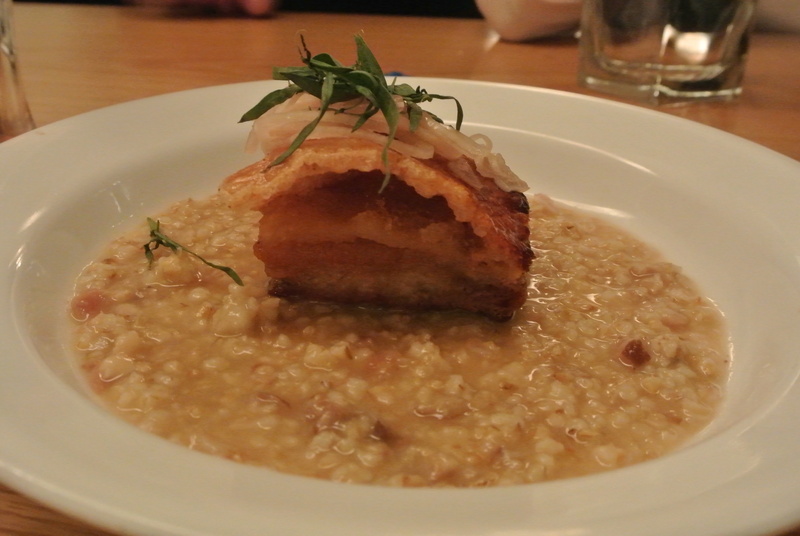 Another appetizer – pork belly with really crispy skin on a bed of oats. 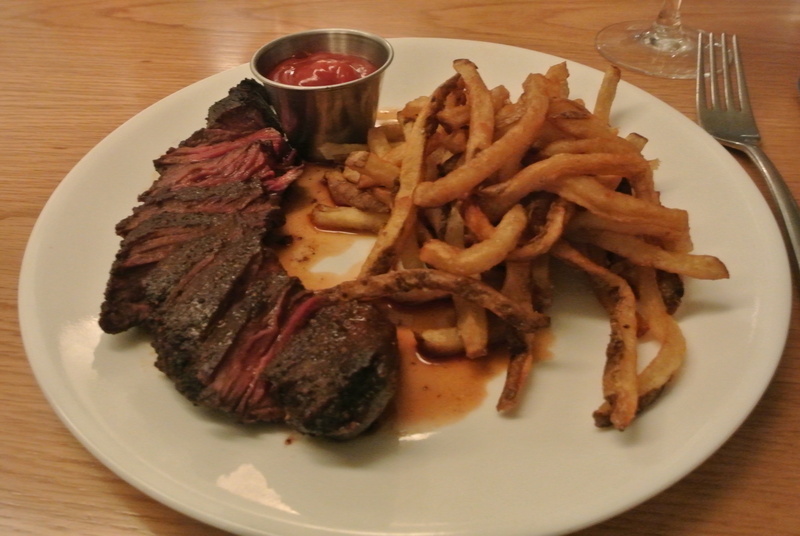 Main course – classic hanger steak and frites…..boring, I know, but I really felt like having beef! 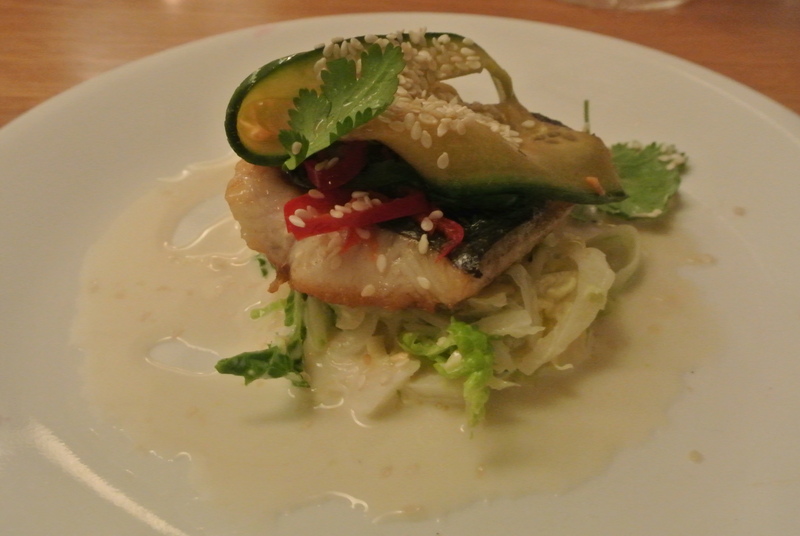 Appetizer – seared mackerel with yuzu, pickled cucumber, chili and hoisin. 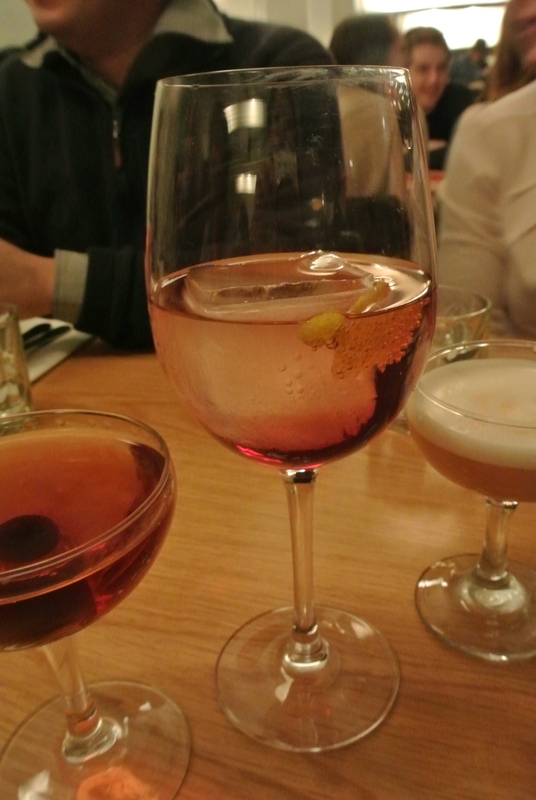 Cocktails – the Alfonso….love the giant ice cube!